Arizona Waste Oil Service (AWOS) is a 24-hour waste oil removal and recycling company. Family owned and operated, we have been serving Southern Arizona and beyond since 1985. We pride ourselves in providing excellent service while preserving our environment for better living today. 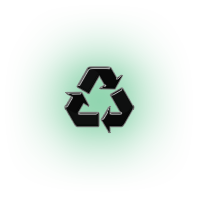 AWOS collects and recycles used oil, transformer oil, spent anti-freeze and industrial wastewaters and provides environmental services such as parts washers, industrial wastewater, and tank cleaning. We also offer drum delivery and disposal, as well as provide broker, consulting and emergency services. Our customers include anyone who uses petroleum based products from municipalities and utilities, to car dealerships, lube shops, farms and residential property owners. No job is too big or too small. We provide a full-service solution for our customers. Our recycled products are On Spec Fuel Oil and form oil. Other products include tanks, totes and drums, fuel/oil additive, and antifreeze. Provide great SERVICE to all who need us. LOYALTY to those we serve while building RELATIONSHIPS and maintaining the highest level of INTEGRITY. You will find us trustworthy and responsive. We continually exceed the industry standards for quality with our fleet of clean trucks, well-trained, helpful staff. We’re the candy people – our drivers bring candy and a joke with every delivery! It’s hard to find companies who do what they say for the price they say they will do it. When you call us you talk to someone who can make instant decisions and give you the personalized service you deserve. We go the extra mile to make our customers feel like family. EPA # AZR 000510479 | We carry comprehensive insurance, exceeding industry guidelines. © 2012 Arizona Waste Oil Service, Inc.